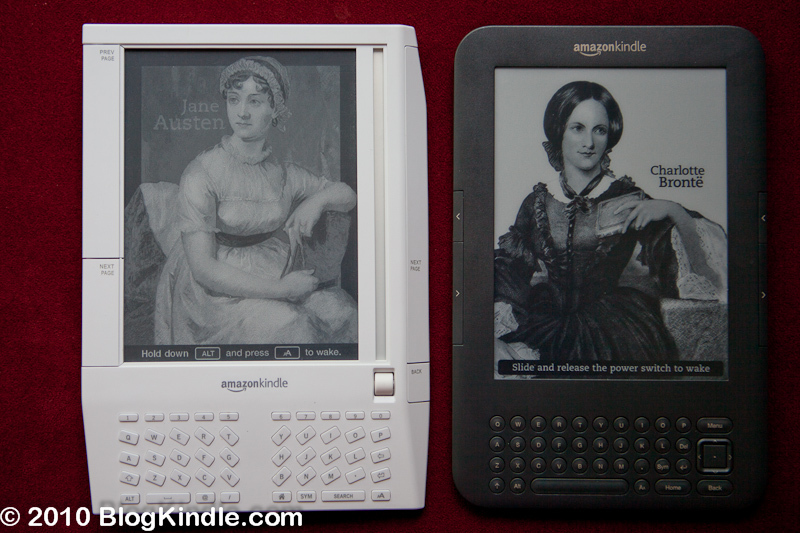 The eInk has hardly dried on Amazon (NASDAQ:AMZN) Kindle 3 Review (link) as Sony (NYSE:SNE) has announced long expected and overdue update of PRS eReaders. Sony PRS-950 SC Daily Edition is an upgraded version of PRS-900. Currently there is little information about it even on official Sony website. It is knows that it will feature 7″ latest generation Pearl eInk with touch, 3G and WiFi wireless. Judging by the photos it will be roughly 7.7 x 5.0 x 0.42 inches large which makes it slightly shorter and thinner than its predecessor. I assume it’s also going to be somewhat lighter. Its estimated release date is November 2010 with price point of $299.00. It’s unclear what body color selection will be. For now only silver color seems to be available. I’ve added new Sony readers to the interactive size comparison tool so you can get an idea how large are these devices relatively to one another. Weight WiFi 7.8oz / 3G + WiFi – 8.2oz** 7.58 oz 5.47 oz ??? 3G – 10 days 2 weeks 2 weeks ??? expandable up to 32GB 1.4Gb user accessible ??? 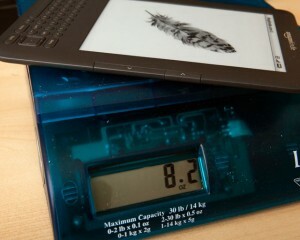 ** Although official specifications state 8.7 oz weight for Kindle, it actually weights 8.2 oz. Although I don’t have any of the new Sony eReaders to weigh, PRS-600 that I have weighs exactly as per specification – 10.1 oz. Entire lineup of Sony PRS devices will feature touchscreen. 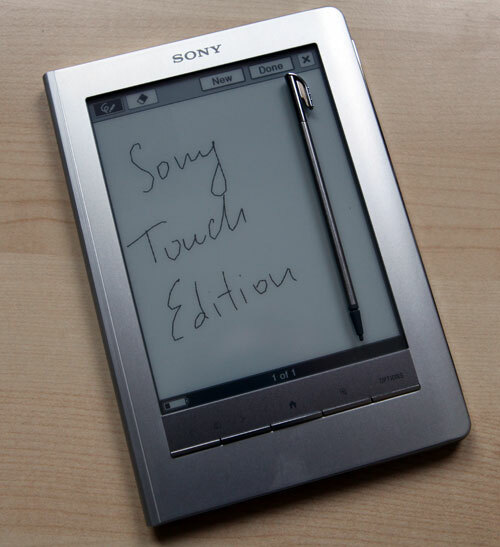 In previous models Sony used resistive touchscreen that was overlayed on top of eInk. 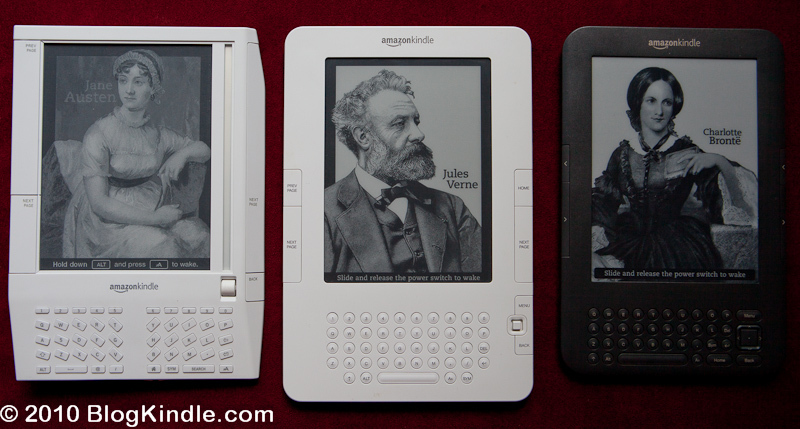 This resulted in significantly lower screen contrast than any other eReader (see Kindle 3 screen contrast comparison). This time around Sony is using infrared touchscreen technology. In a nutshell it consists of pairs of infrared LEDs and photosensors located around the edge of the screen. LEDs continuously shoot invisible beams into sensors (like in James Bond movies). Microcontroller analyzes which LED-sensor pairs are blocked and computes touch coordinates based on that. Needless to say that such system consumes a lot of power compared to other touchscreen technologies or good old buttons. This will translate into shorter battery life. The upside is having convenience of a touchscreen and excellent contrast that newest generation of eInk displays provide. 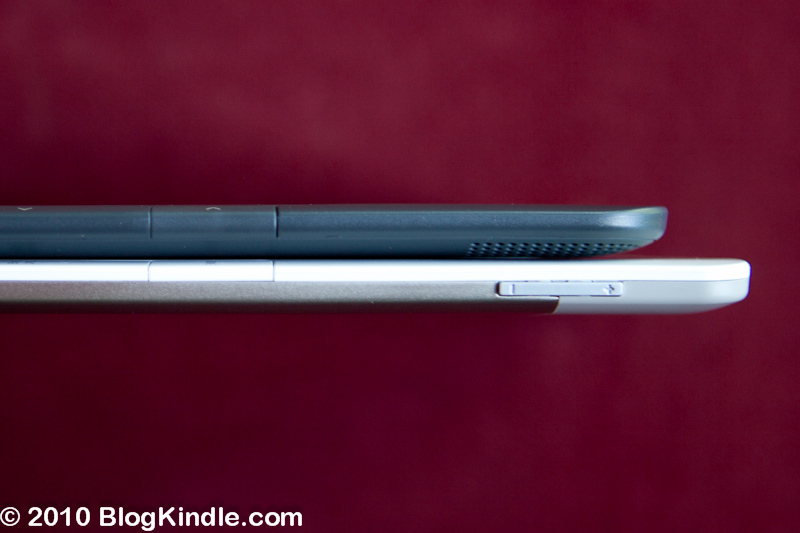 PRS-650 is noticeably shorter than Kindle 3 because since it lacks keyboard but it’s just a notch thicker. 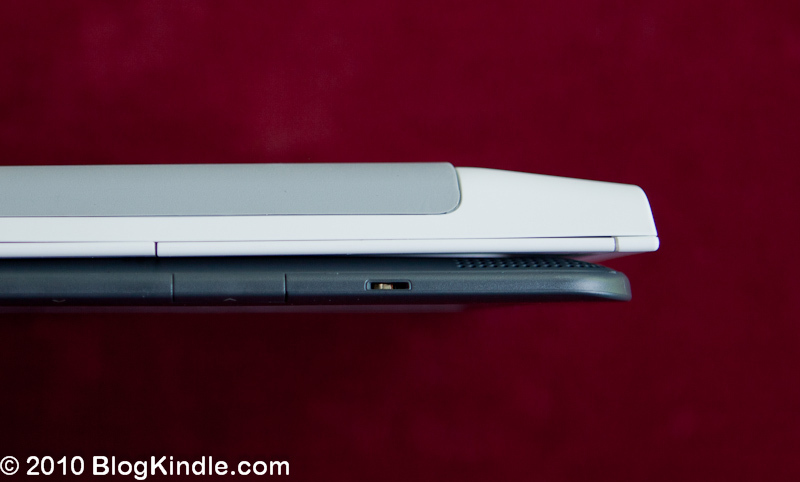 It’s also lighter either of Kindle models. 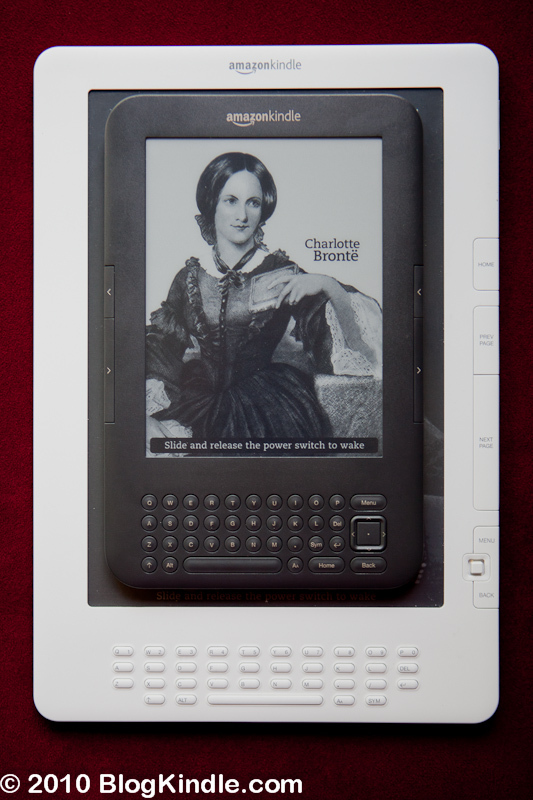 6″ eInk Pearl screen provides the same reading area, resolution and contrast as Kindle 3. PRS-350 is smaller and lighter still. This however comes at a cost of smaller 5″ screen. The screen has the same pixel resolution though is the same. So if you eyes are keen enough you will get the same amount of detail on it. 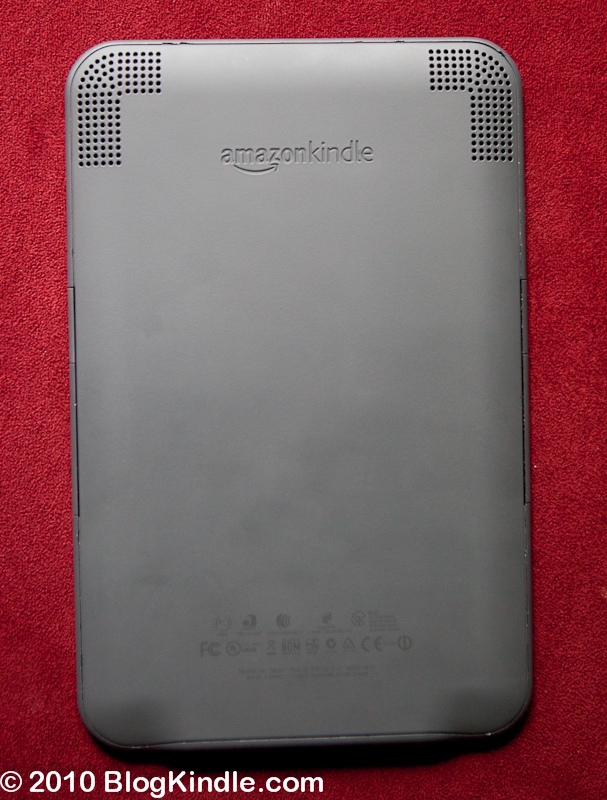 PRS-950 is going to be only slightly larger and thicker than Kindle 3 while featuring larger 7″ screen. In absence of other data I will guess that it will have the same 600 x1024 pixel resolution as PRS-900. At the moment it’s unclear how much will it weigh. Because of size reduction, all Sony devices transitioned from mini-USB to micro-USB connectors (same as Kindle) and got rid of separate non-standard charging connectors altogether. Perhaps with some luck you would be able to charge via USB cable and read at the same time (unlike PRS-600). One more English look-up dictionary was added along with 10 translation dictionaries. It’s unclear at the moment which languages are supported for translation or how will it work. I will use my Sony PRS-600 review from last November as a baseline to gauge improvements in different areas. My largest complaint about PRS-600 back then was extremely poor screen contrast. Since PRS-650 will use exactly same display as Amazon Kindle 3 with nothing on top of it, Sony and Kindle 3 are tied in this department. The end result will only depend on the font handling in the software. 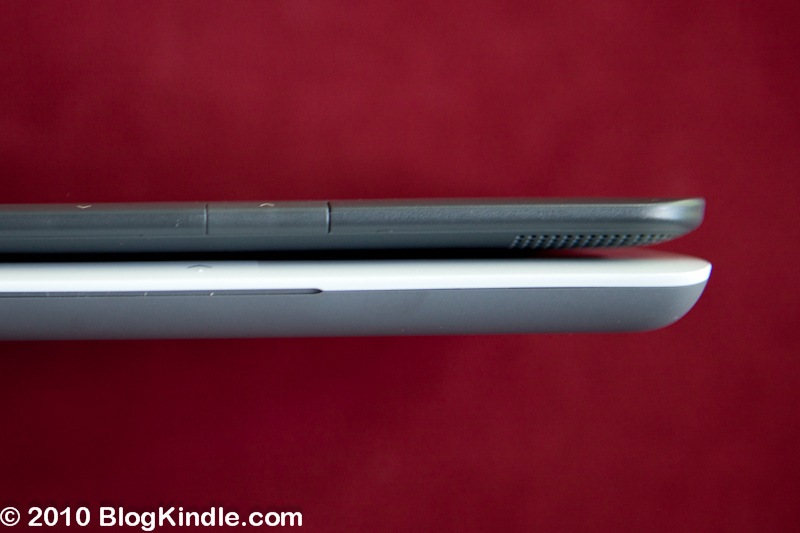 It can make a huge difference as shown by Nook vs. Kindle 2 comparison example. After that comes complicated and unintuitive software both on the device and PC. Getting 3 autoplay pop-ups (4 if you use both expansion cards) is ridiculous. Especially since one of the drives contains installation files for PC that you only need once. Wouldn’t it have been better to mount a single drive on PC and map memory cards and installer files there as folders? PRS-650 features page mentions “Intuitive Reader Library software makes it easy to download eBooks, manage your collection, and transfer titles to your Reader Touch Edition™. Reader Library software works with both PC and Mac.” Unfortunately for Sony so did PRS-600 feature page. Unless their software has improved much more dramatically than it’s description this round will definitely go to Kindle 3. It would be next to impossible to improve already easy and seamless download process on Amazon Kindle. It wouldn’t have been hard for Sony to match it but it doesn’t look like it happened. 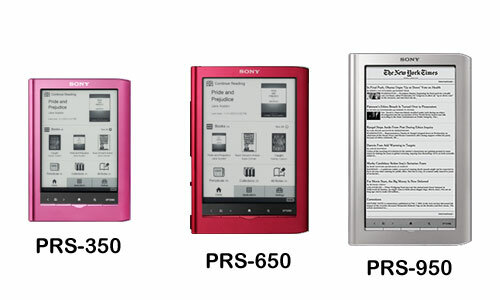 The only product in Sony eReader line that can offer the same ease getting books is PRS-900/950. There were also smaller things like, changing the font size taking forever on Sony and the fact that after gathering dust on my shelf for one week I would find PRS-600 with completely drained battery and therefore unusable for 3 hours while it recharges. 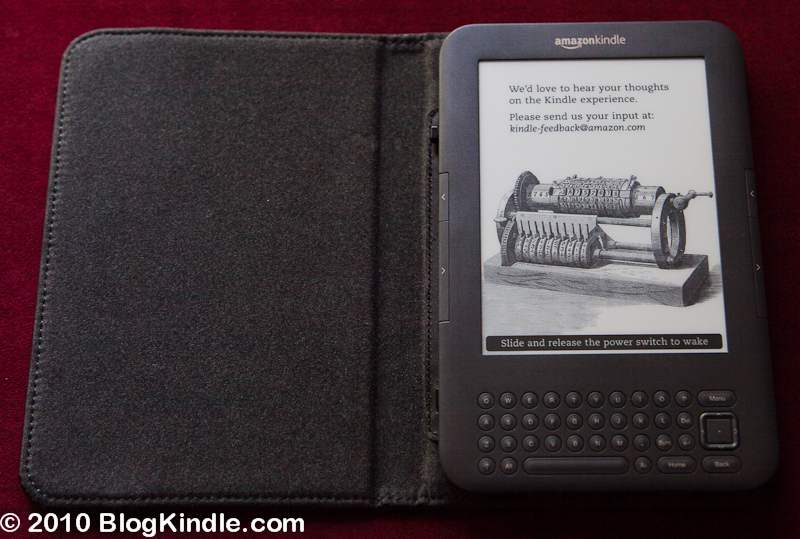 My largest complaint against Kindle 3 is small paging buttons and uncomfortable position of the 5-way controller. As I now hold Sony PRS-600 and Kindle 3 in my hands I actually find turning pages on Sony more comfortable than Kindle 3 despite (or maybe because) of Sony’s larger size. PDF support was one of the areas where PRS-600 clearly outdid Amazon Kindle. Since there is little room for improvement for Sony for the sake of this review we’ll assume that PRS-650 will have same PDF viewing features as PRS-600. Although Kindle has greatly improved in this department, table of contents and document links still don’t work. Perhaps it will get addressed in some future software update but for now this round goes to Sony. So it really depends on what you intend to do with the device. If you are an audio book fan – definitely go with Kindle since it can play DRMed audio books and turn almost any text book into audiobook. If you want your eBook reader to also be your MP3 player – go with Sony. If you already have MP3 player that supports audiobooks and prefer to use that then apart from text-to-speech support on Kindle, it doesn’t really matter. 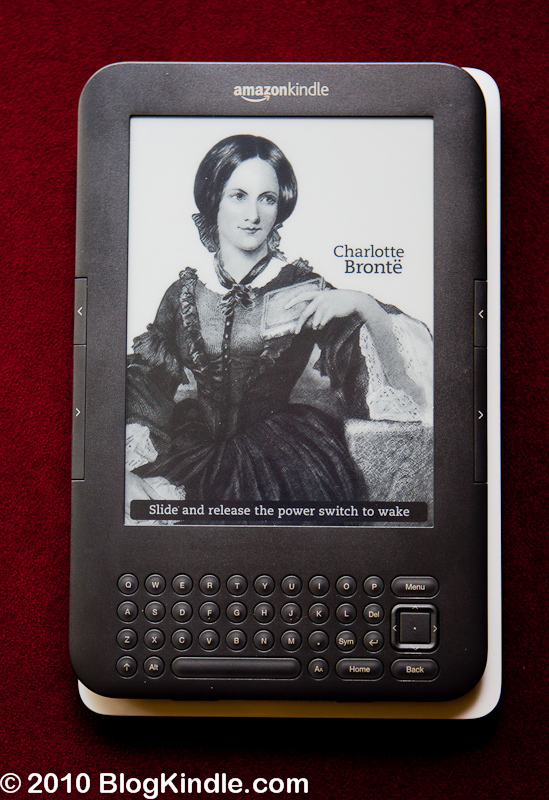 Because of built-in speakers and “Voice guide” menus Kindle is now a fully accessible device for blind readers. While it’s easy to scribble notes on PRS-600, when it came to typing on on-screen keyboard, it was a much worse experience than typing on Kindle keyboard. So unless this aspect improved greatly, Kindle will win the note-taking round. With recent software update Kindle also allows you to share your highlights and annotations via Twitter and Facebook. Since none of the Sony readers have web-browsers (with only a slight chance of PRS-950 getting one) and Kindle 3 got an excellent WebKit-based browser that can load even complex AJAX websites such as desktop version of Gmail and said browser works over free 3G connection compliments of Amazon, this round clearly goes to Amazon Kindle. While Kindle case is made of plastic, Sony devices feature aluminum bodies and come in different colors. This being said 99% of readers spend 99% of their time reading books rather than browsing the web, annotating or listening to music. So reading experience is what eReaders should be judged on. With identical screens and comparable (though slightly better in Sony) ergonomics reading thought he book should be very comfortable on either device. However getting books to read is a separate story. While both devices can store thousands of books, there are millions of books out there and I never know which one I’m will want to read next or if I’ll finish reading another Dark Tower book series and would want to read the next one or will quit reading it in the middle and would want to read something else. This is why I consider global 3G wireless connectivity as a “must have” feature of good eReader. WiFi may be also acceptable for people who don’t travel much or have smartphones that can serve as mobile hotspots. Of Sony readers only PRS-950 will have wireless connectivity. And while it maybe comparable in some features to Kindle 3, it will cost $110 more which is significant given the fact that eReader prices are flirting wit $99 threshold right now. In the matter of book selection, it’s hard to tell a clear leader. Amazon, Sony and B&N book selections largely overlap but there are some exceptions so before buying an eReader, check out Amazon Kindle Store, B&N and Sony Book store to make sure that the books you care about are available on the device that you are buying. 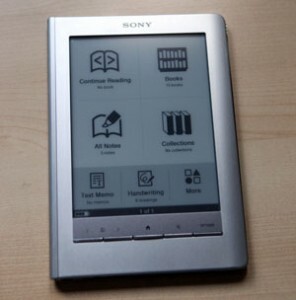 With Sony PRS-650 you can the option of library eBooks in DRM-ed PDF. While it may sound nice, my local library doesn’t have a great selection of eBooks available to be checked out. I don’t know if it’s just my library or general state of things. At first it seems that results were permanent… but it turned out nothing that some paper towel and vodka couldn’t fix. Kindle didn’t seem to mind the alcohol too. After I explained to my daughter that Kindle can’t be used for drawing she said: “What is it good for then?” So according to her comparative review Sony PRS-600 wins hand down. I’ve had the Sony reader for more than a week now so it’s time to write a proper review and compare it to Amazon Kindle… So let’s start from the beginning. Unboxing and installing: If you have ever unboxed Amazon Kindle you know how easily it goes once you get past the FedEx box. You can get by without any tools and be reading books within minutes of opening the box without ever having to touch your computer. With Sony packaging some cutting is required. Since PRS-600 is not bundled with AC charger and the device locks up while it’s connected to the PC, there is no way you can start reading books until the battery is charged. While this doesn’t matter in the long run it shows how good Amazon is at packaging, selling and creating a first impression and how much Sony has yet to learn in this regard. Sony reader needs PC to buy books. eBook library software needs to be installed for this to work. Conveniently the installer is located inside the reader itself so when you plug it in, one of the disk drives would contain the setup file. So all you need to do is click the appropriate button on one of the AutoPlay dialogs that pop up. What is not so convenient is that the installer disk keeps popping up every time you connect the reader even after the software is installed. I browsed through the menu trying to disable this behavior and when all else failed I turned to the User’s Manual. Alas! It wasn’t there on the reader. It actually was, but inside one of the language specific ZIP files on the reader. So to read it you need to unzip it. Not a big problem for me but for someone who is not computer savvy it might be. However even with User’s Manual I wasn’t able to turn the annoying setup disk off. There were some more hiccups related to the software installation and creation of the Sony eBook store account but I’m not going to mention them. After all you only need to go though this process once per OS install which is not that bad. Display: Sony PRS-600 uses the same kind of eInk screen as Kindle 2 so there is little difference there. Sone screen has a resistive touchscreen layer on top of it. Some people claim that it takes away some of the contrast. 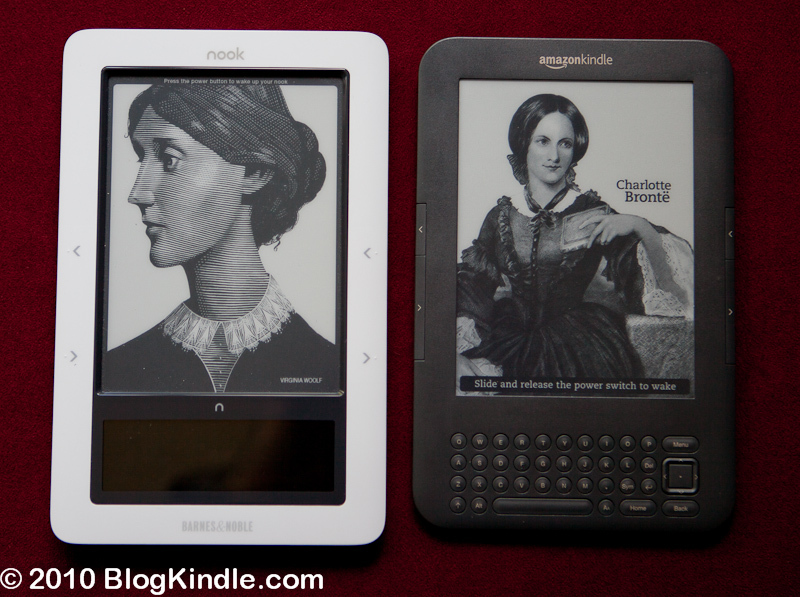 In fact there is a noticeable difference between Kindle 2 and PRS-600. To prevent my eyes from playing tricks on be because of different frame color I took a piece of paper and cut two identical rectangular holes in it. Then I compared “white” portions of the screens by looking though these holes and I still found Sony screen to be darker. 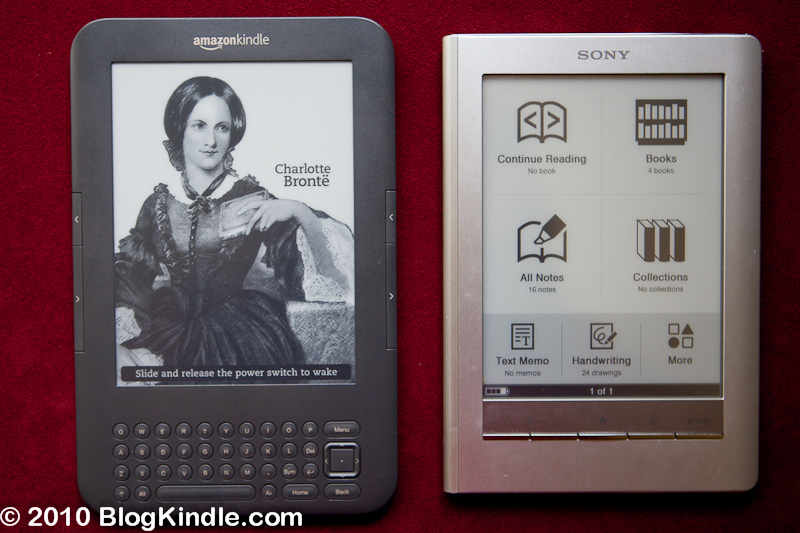 Ergonomics: Sony PRS-600 is smaller than Amazon Kindle due to lack of keyboard. Although the weight is the same, Sony feels heavier because of the smaller size (I guess more dense would the correct way to put it). 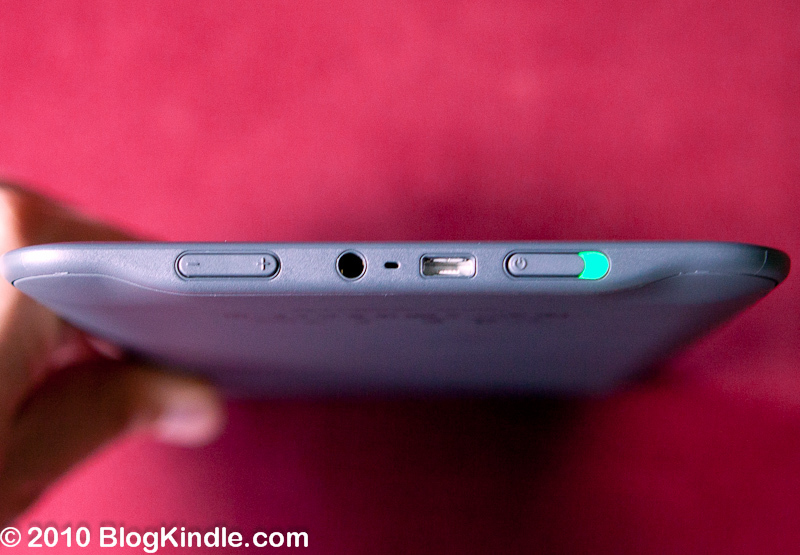 It could be a matter of habit but I find Kindle paging buttons more naturally placed than on PRS-600. PRS-600 fits nicely in most pockets which is convenient. Storage: Sony PRS-600 comes with 512Mb usable storage that can be expanded to 16Gb via SDHC and MMC cards. Since PRS-600 lacks wireless connectivity it’s likely that you’ll be carrying most of your books around so it makes sense to stock up on flash memory. This is different from Kindle way of always being able to download books you’ve purchased before via the WhisperNet. If you work with large PDF documents or images you will find swapping flash cards convenient. Buying books: Using the eBook library is relatively straightforward and easy. You only need to enter your credit card information once. After that you can buy books with one click pretty much like on Amazon.com. 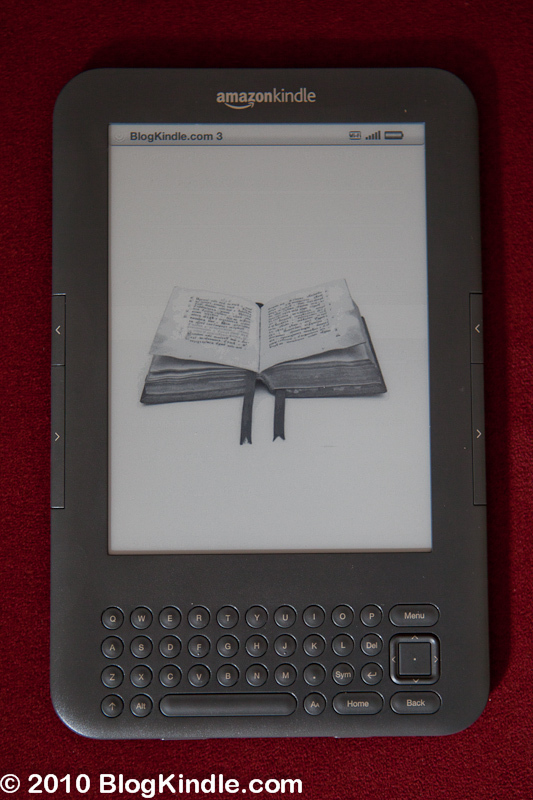 Several times the application failed to transfer purchased books to the eReader but reconnecting the device fixed that too. Library books: Getting library books was easy once I learned that the service is located at www.Overdrive.com from another PRS-600 review. I entered my ZIP-code to find my local library, browsed though the list of eBooks and audio-books. After choosing the book I was asked for library card number, Adobe ID that is used in ePub DRM. Then Sony eBook library downloaded the book which I then transfered to the PRS-600 and started reading. Straightforward and nice, given that it is free. To tell the truth some libraries now offer eBooks in DRM-free mobipocket format that Kindle can use as well, though selection of such books is smaller while selection of library books is small to begin with. So library book access (at least the way it is now) is a nice perk but nothing major since most of the books you would want to read you’ll end up buying anyway. Reading books on the Sony PRS-600: Experience is mostly similar to the one of Kindle. Flipping pages with gestures is fun at first but I then switched to using buttons as you need to press the finger pretty hard to the touchscreen. If you are using stylus this is not an issue but why would you want to take out a stylus for reading? Navigating table of contents and links is easier than with 5-way controller. However if you are using finger rather than stylus, not all of the touches will register. PRS-600 is not nearly as finger friendly as an iPhone. 1) Sony PRS-600 doesn’t recognize alternative forms of all the words. For example if you try looking up the word “puzzled” it will yield no results while looking up “puzzle” will work. 2) The navigation within the dictionary is limited to the hyper-links between the articles. In contrast Kinde dictionaries are treated like regular books so you can get a dictionary definition for any word within any other dictionary definition. While it may not look like a big deal to some people for non-native English speakers such as myself it is. Reading books on the PC: You can actually read complete books in Sony eBook library software. With Amazon you are limited to “Look inside this book” feature on Amazon.com. If you don’t have an eBook reader – this is a great feature. 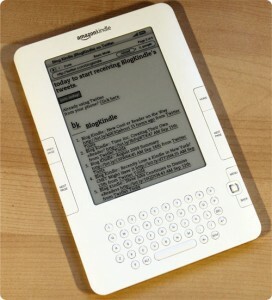 If you do then most likely you would choose eInk over backlit LCD screen for reading. Clipboard is disabled (least for copyrighted books). This would have been a nice feature for PC users, especially for academics. However it’s not there. You would have more luck copying the book text from Amazon Kindle books by highlighting it. Taking notes: There are two ways in which you can take notes on the books and documents that you work with on Sony PRS-600. You can either scribble or type using the on-screen keyboard. Typing is a very bad experience. Touchscreen, eInk and on-screen keyboard are a horrible combination. The lag is just too great and typing becomes too slow to be efficient. 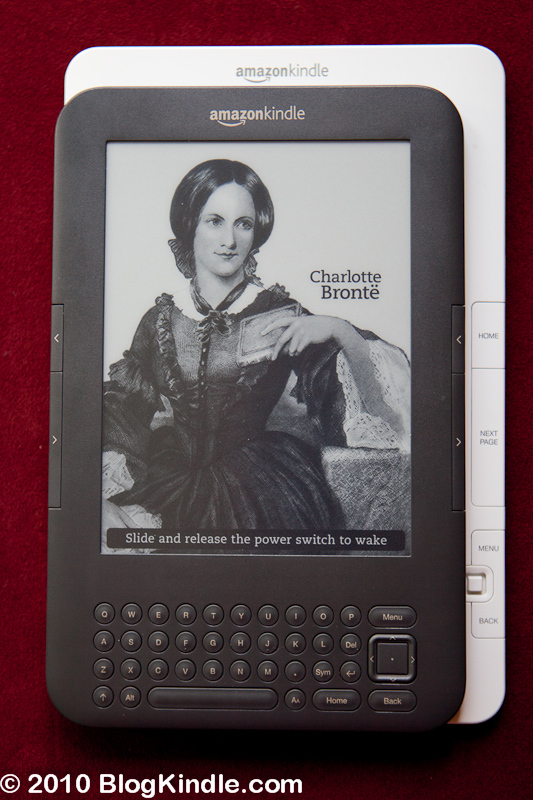 Kindle keyboard may not be too comfortable but it’s way better than this. Scribbling is fun but these notes are not usable or transferable. Viewing PDF: This is one area where Sony PRS-600 beats Amazon Kindle hands down. Table of contents and internal hyper-links work and are easy to select on a touch screen. You can either increase font size and the reader will reflow the text, or dynamically zoom in and drag the page around. Surprisingly the refresh rate is pretty fast. Although it doesn’t have an accelerometer like Amazon Kindle, Sony reader also supports landscape mode that you can enable via the options menu. This is definitely better than document conversion that is available in Kindle 2. If you just need to read the PDF in a linear fashion then large screen of Kindle DX has an advantage. However if you need to navigate the document a lot, it’s much easier to do on Sony PRS-600 with the touchscreen even tough the display is smaller. 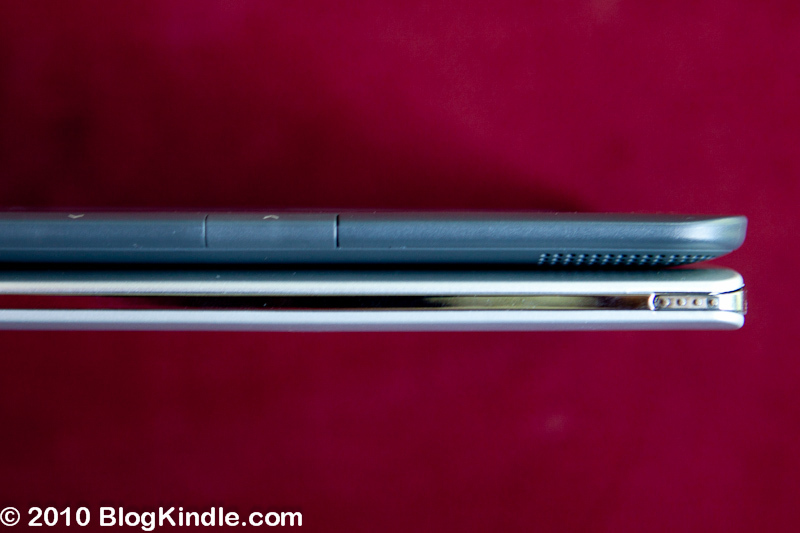 Viewing pictures: This is another area where Sony PRS-600 does better than Kindle. 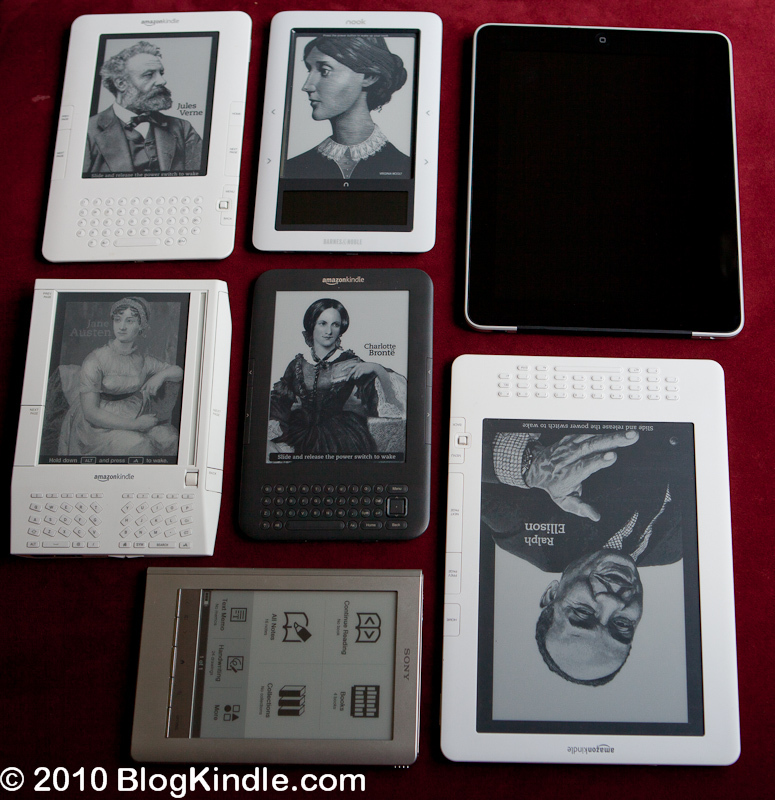 When I used small JPEG files both eReaders worked roughly the same. But when I dropped 21 megapixel JPEG from my Canon DSLR, Kindle took more than a minute to render it and you could clearly see that its dithering algorithm failed. Sony on the other hand was able display the image promptly as well as dynamically pan and zoom it. When you pan the image it looks like the eInk screen switches to monochrome mode (only 2 colors) that allows for much faster refresh that makes almost real-time panning possible. Playing MP3 music: Sony PRS-600 has a usable MP3 player where you can navigate tracks, fast-forward, rewind etc. Conclusion: Sony PRS-600 is a good device. You can definitely have a good time reading books on it. Unfortunately the software (both PC and eReader) has some bugs and reliability issues. Unless you work with PDF files a lot, touchscreen is more of a hindrance than a blessing. It does seem to take away from the contrast a little bit. At a glance: So which one should you choose? It really depends on what your usage patterns are going to be. 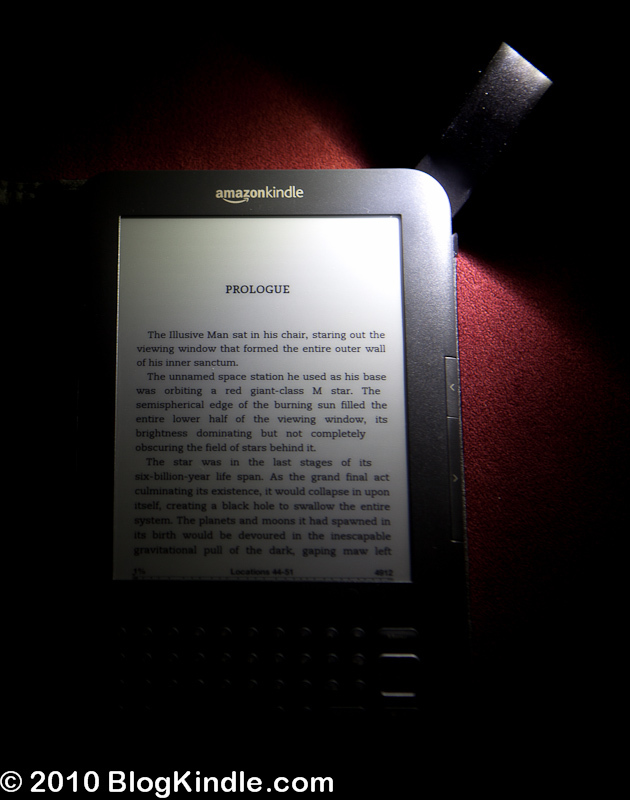 If all you want to do is read books, then I would definitely recommend Amazon Kindle. When reading, touchscreen is more of a hindrance than help, it adds to the cost and takes away from image quality. Being able to buy books without computer or WiFi is a huge plus for Kindle. If you work with PDF files a lot then Sony PRS-600 will be a better choice because it provides much better PDF support than Amazon Kindle does. You can navigate PDF files easily with touchscreen, pan, zoom and change font size. If PDFs are important to you, but you still would like to have the convenience of Whispernet buying from Amazon.com you can consider Kindle DX. 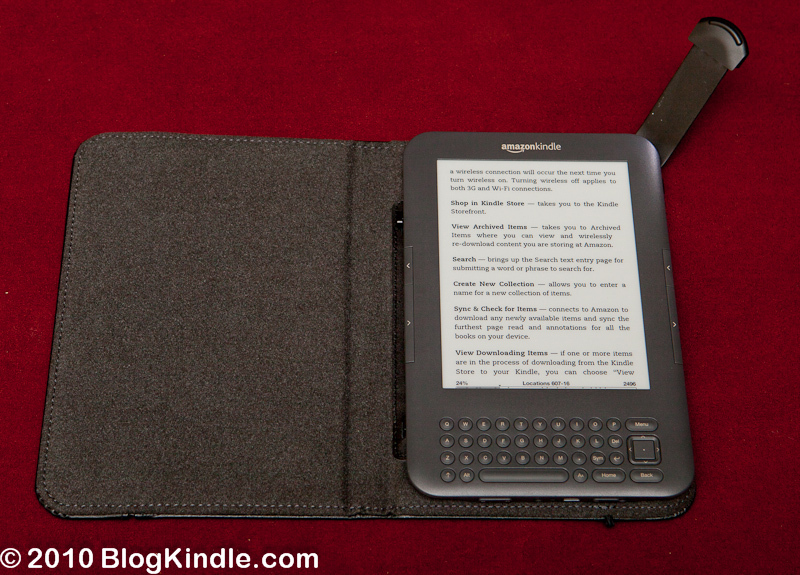 Although you somewhat loose portability, larger screen alleviates lack of pan and zoom functions in Kindle software. While release of international Kindle 2 may have been the biggest move by Amazon since Kindle was originally released on the November 19, 2007, it is going to face some serious competition this holiday season. According to Wall Street Journal, Barnes and Noble may start selling their own device as early as November. Amtek International Co filed the request for FCC approval on behalf of Barnes & Noble and the approval was given in September. To me the Barnes&Noble device seems like Sony PRS-600 but with 3G wireless. And this just might make a huge difference and make the device competitive. I’ve been playing around with my PRS-600 and so far found touchscreen to be a mixed blessing. It’s hard to tell how it will be with B&N reader as it depends on the implementation. 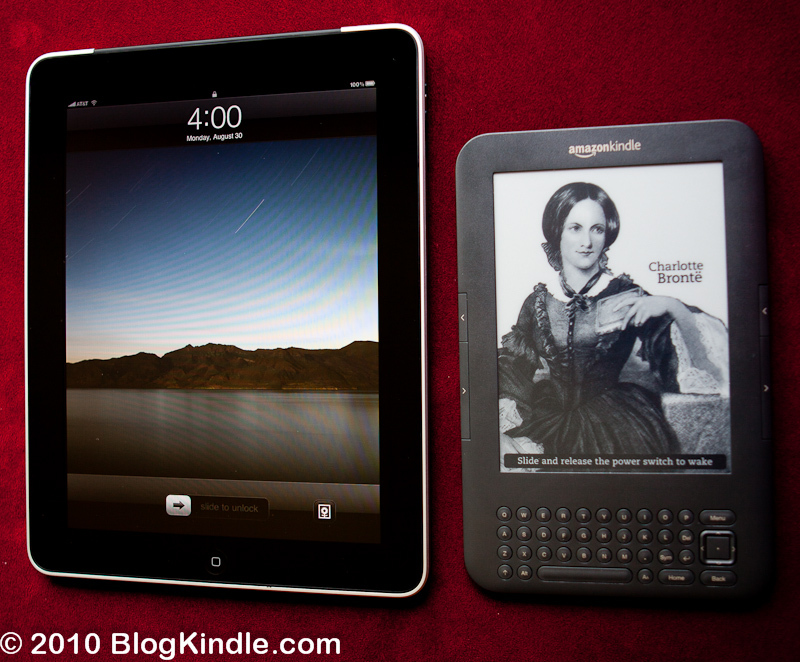 However with 3G wireless unless B&N will totally blow it will be a device comparable to Kindle. With iRex and Plastic Logic readers also compatible with their store consumers will have more choice in hardware and this can be an advantage for B&N as eBook vendor. On the other hand Amazon is still several steps ahead of the competition with the recent international release of Kindle 2 as well as established hi-end Kindle DX product line. It will be an interesting holiday season for eBook industry. Depending on how it plays out for all the companies involved it may shape the future of the whole market for the years to come. I was about to publish this post when I came by a peculiar rumor leak at gizmodo: they claim that Barnes&Noble eReader will run Google’s Android OS. Personally I find it highly unlikely though definitely intriguing.